Interested in executing trades very quickly? 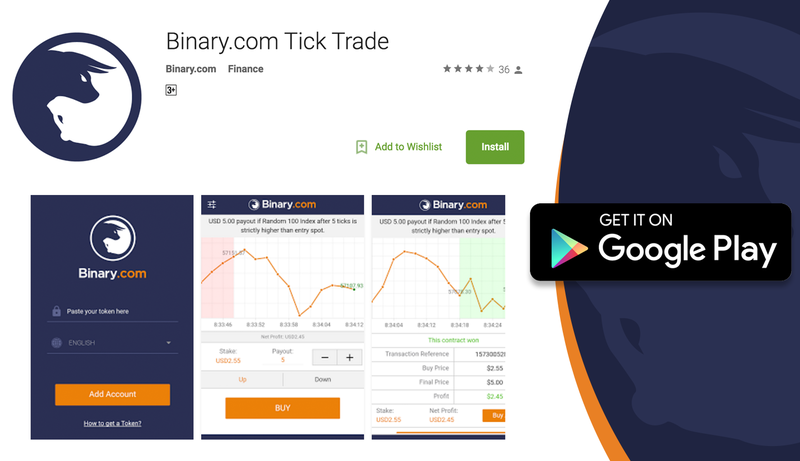 Try our new tick trade app. 1. Enjoy our fastest type of trading. Trade in just seconds with our simple, streamlined mobile application. 2. Trade from anywhere with ease. Place tick trades anytime, anywhere – even while you’re on the move. 3. Experience nearly instant win-loss results. Set the pace of your trade from five to ten ticks – for swift, easy turnaround of payout. Download the Android app for free on Google Play!